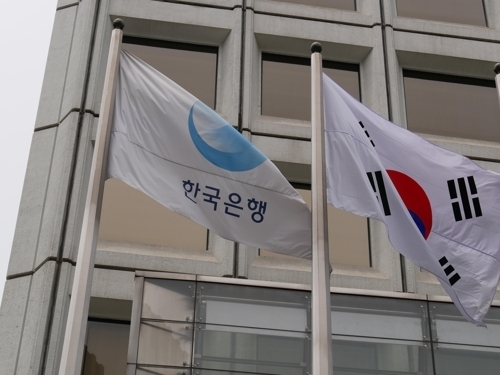 The size of floating funds in the market reached a record high of 1,117.3 trillion won ($999.8 billion) as of late June, with the total unlikely to come down in the near future, official data showed Sunday. The numbers provided by the Bank of Korea and domestic financial investment firms showed that of the total, some 99 trillion won was cash, 231 trillion won was in demand deposits and 532 trillion won was in money market deposit accounts. The tally also covered money market funds, certificate of deposits, cash management accounts, repurchase agreements, time deposit and investor deposits held by brokerages. Numbers showed the size of liquidity steadily rising to reach 1,072 trillion won in December 2017, with the total continuing to advance this year with the exception of a slight dip in April. The central bank said the rise is mainly attributable to low interest rates that have made borrowing less expensive. South Korea’s key interest rates fell to a record low of 1.25 percent in June 2016 before they were adjusted up to 1.5 percent in November of last year. Such developments contributed to loans taken out by households here hitting 1,493.2 trillion won as of late June. Market watchers, moreover, said that due to various causes, the floating liquidity is not being invested properly. “Funds did flow into the stock market, but rising concerns over a trade war have negatively impacted the bourse, with others going into real estate and virtual currencies purchases that has fueled concerns of a dangerous speculation bubble,” a local financial sector analyst said. He added that with the economy showing signs of cooling down, it may be hard for the BOK to raise the rate in the near future. Last Friday the central bank opted to keep the key rate unchanged citing poor employment figures.